Interested in a Music and Markets Tour? We’d love to hear from you! 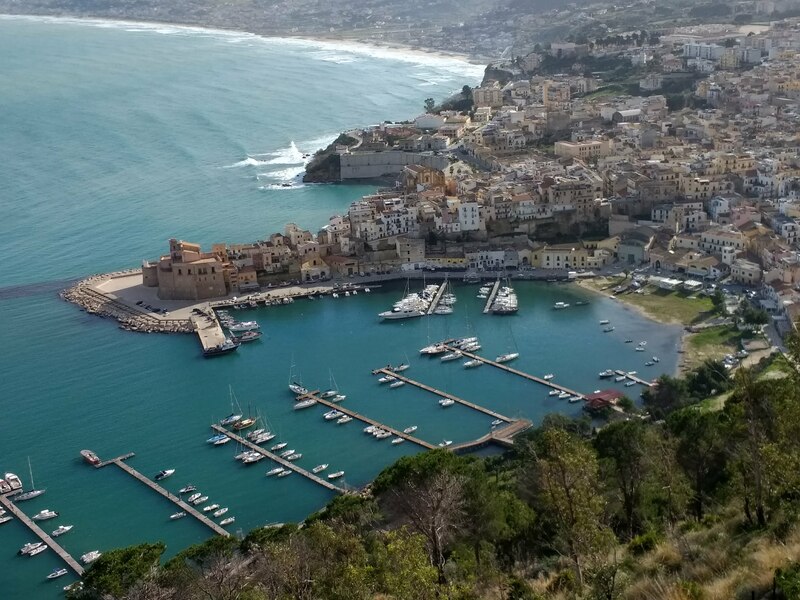 We’re looking ahead to summer – why not join us on the fabulous Amalfi Coast , in Provence, or Amsterdam? 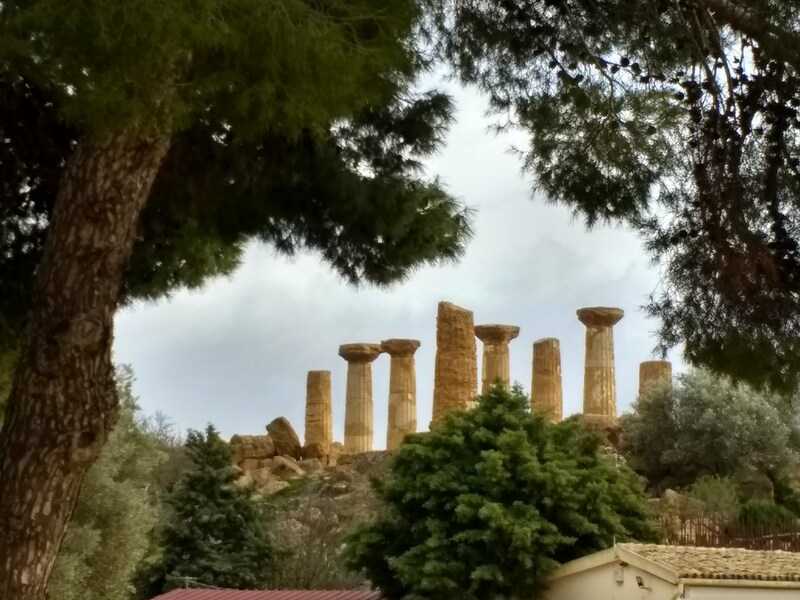 Golden temples of old, scattered across the landscape of Sicily, were the focus of our week in western Sicily. 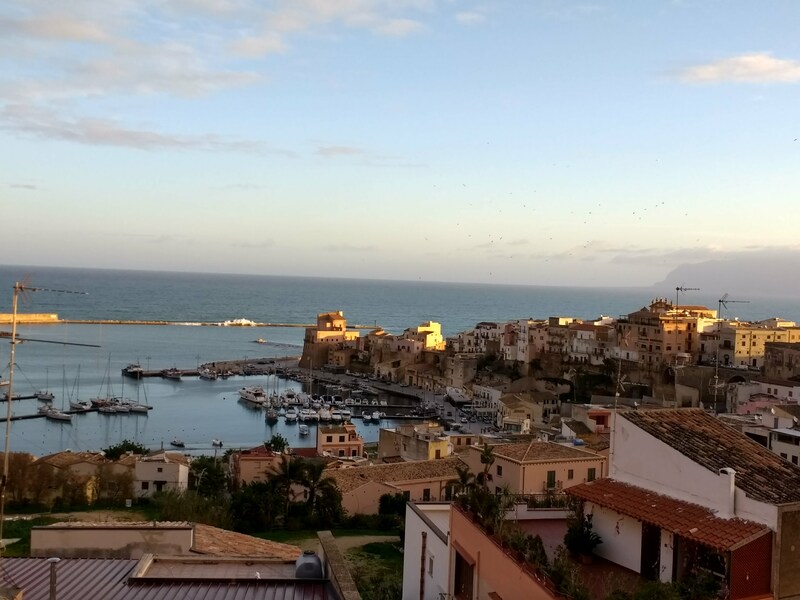 Castellamare del Golfo, recommended by our friend Laura of See Italy Travel, was a perfect headquarters for this winter stay. 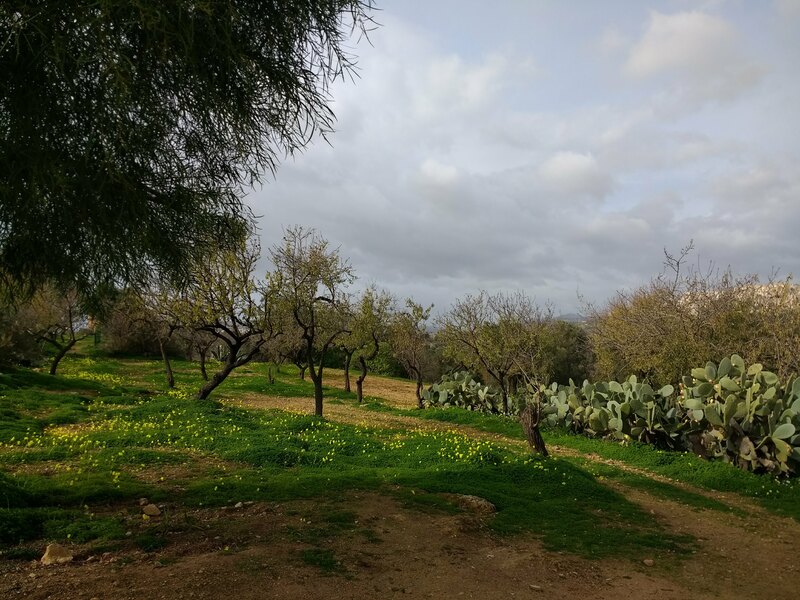 Our priority was views – and oh did we get them from our hillside Airbnb, La Casa del Normanno! 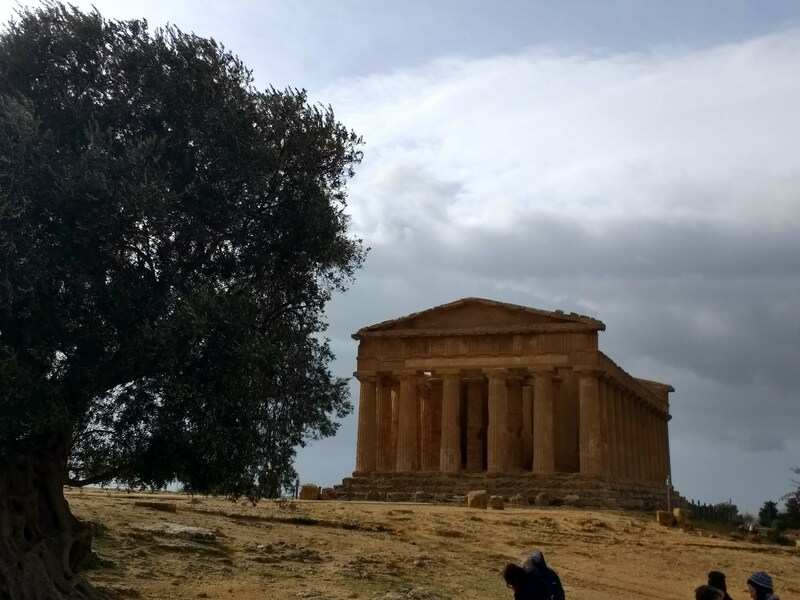 Those golden temples we’re seeking out pop up inland – such as at Segesta, the closest to us at Castellamare, and in abundance at Agrigento – the valley of the temples (that’s Concordia at the top of this post), and majestically overlooking the sea at Selinunte. 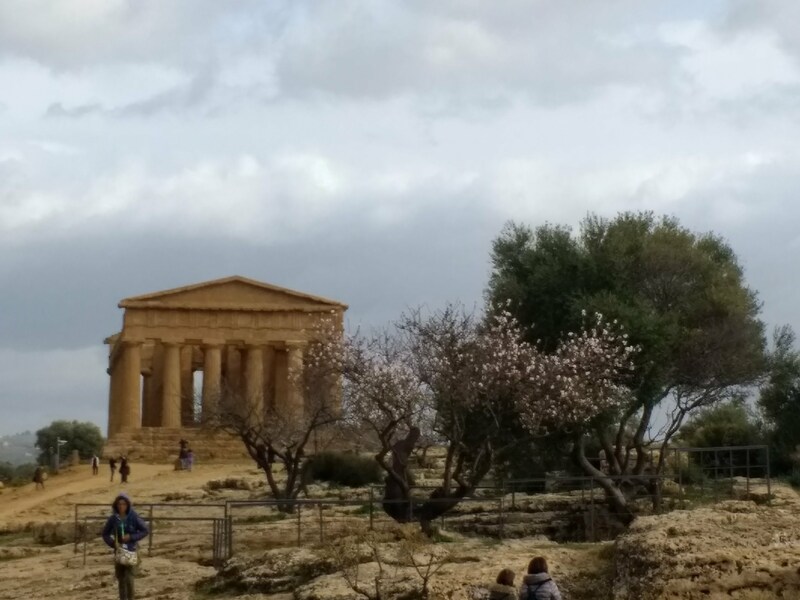 We spent the most time at Agrigento, in the fascinating Valley of the Temples, settled by Greeks around 580 B.C. 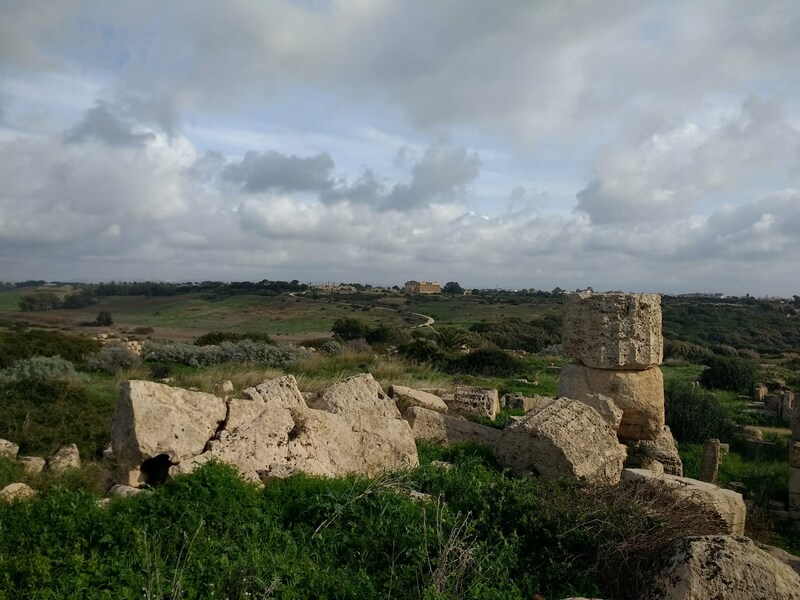 With the best-preserved Doric temples outside Greece, it’s justifiably popular – but such a huge area (a 1300 hectare park!) 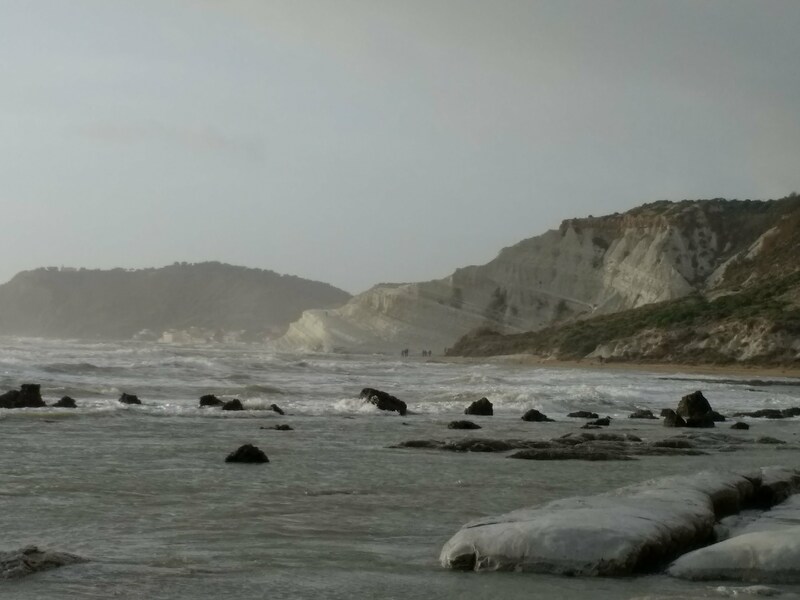 that you don’t feel surrounded by crowds at all. 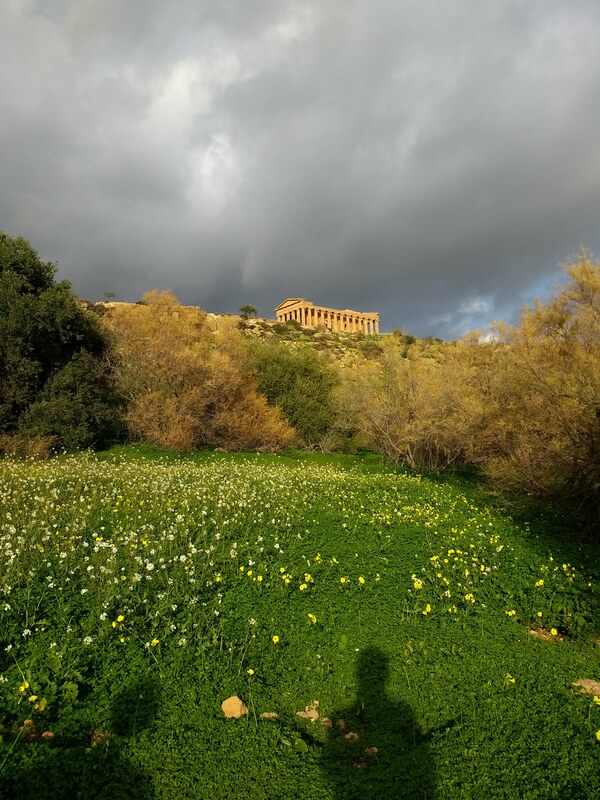 Beginning in the Eastern Zone, we walked up to the Temple of Concordia which has survived almost entirely intact since its construction in 430 BC. Stopping for a light lunch, we reveled in the winter warmth, sitting beside fields of blooming flowers as we ate outside the little café. 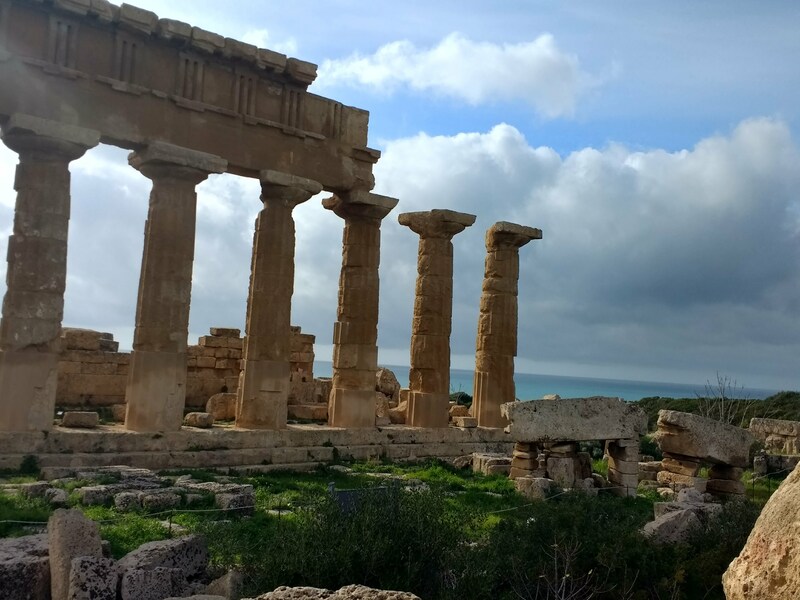 The area has been affected by earthquakes through the millenia, and the other temples, such as Hera and Hercules, have only sections standing – surrounded by tumbled pillars and capitals. Walking amidst this fascinating jumble emphasizes how massive the pillars and structures were! 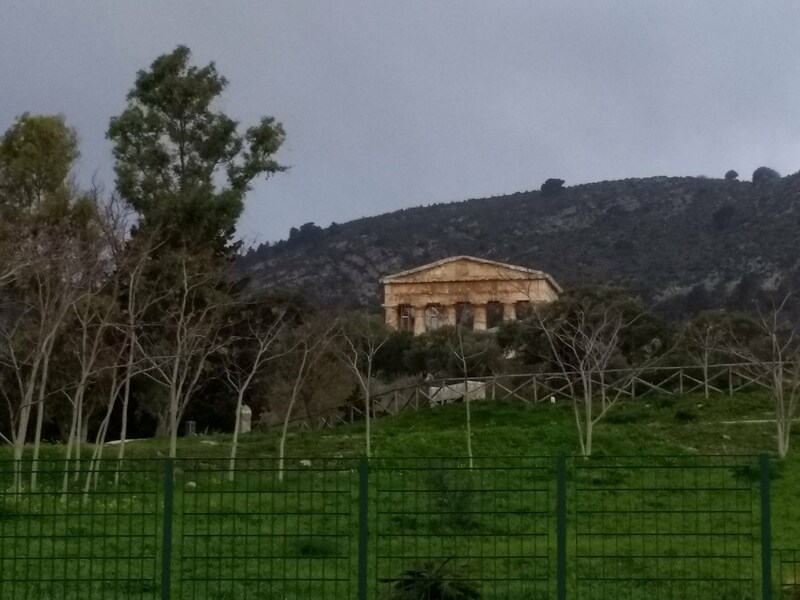 A pedestrian bridge brings us to the Western Zone where the main feature is the crumbled ruin of the Temple of Zeus. 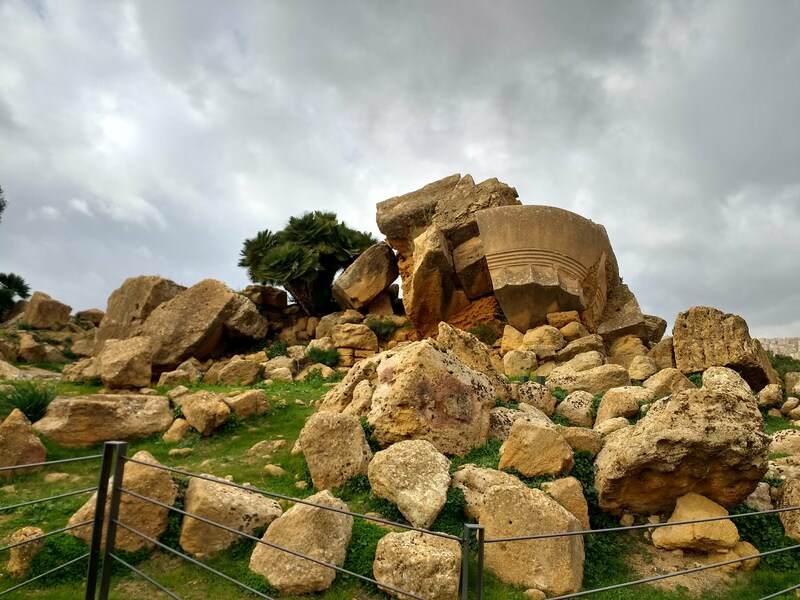 This would have been the largest Doric temple EVER built, but construction was interrupted when the Carthiginians attacked the city…then later what had been built was destroyed by an earthquake. 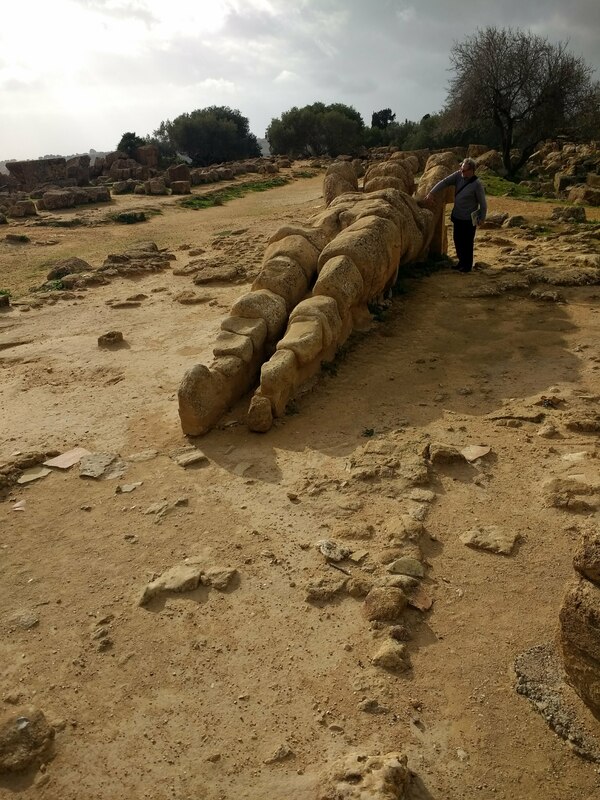 Although the original is in the Archeological Museum, the 8 meter tall telamon (a figure of a man with arms raised) which would have supported the temple, is still an awesome sight. Kirk stands by it to show the massive size. 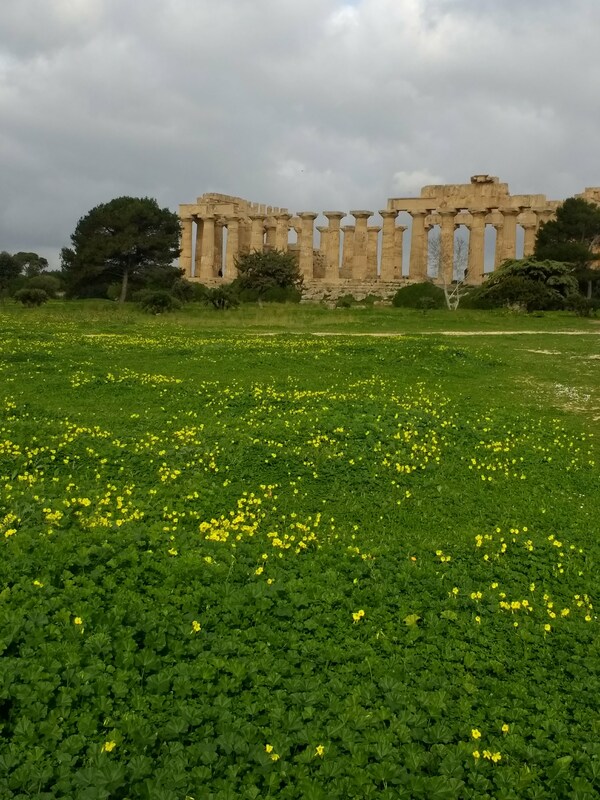 As we drove off to another Sicilian beauty, we circled around to see the temple above us, a field of winter yellow blooming below. 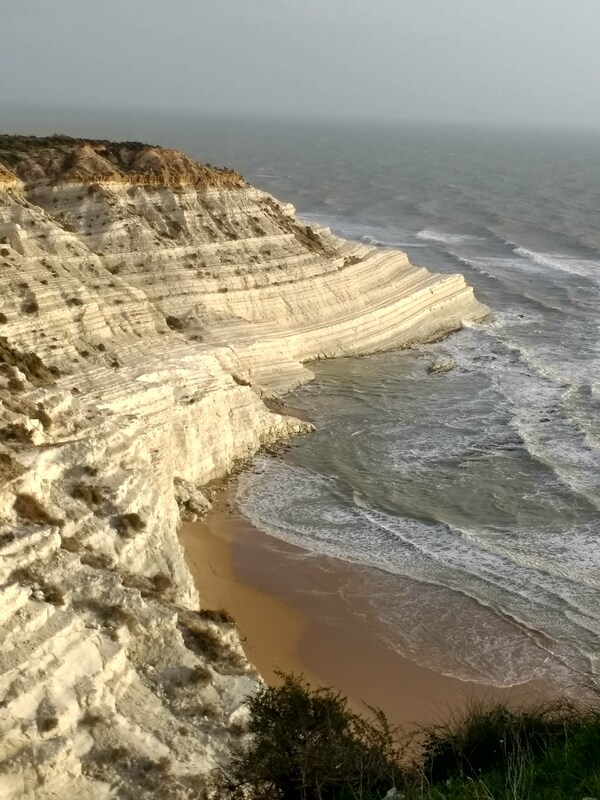 About 20 minutes west of Agrigento the white cliffs of the Scala dei Turchi plunge to the sea, worth a walk along the beach to take a look! 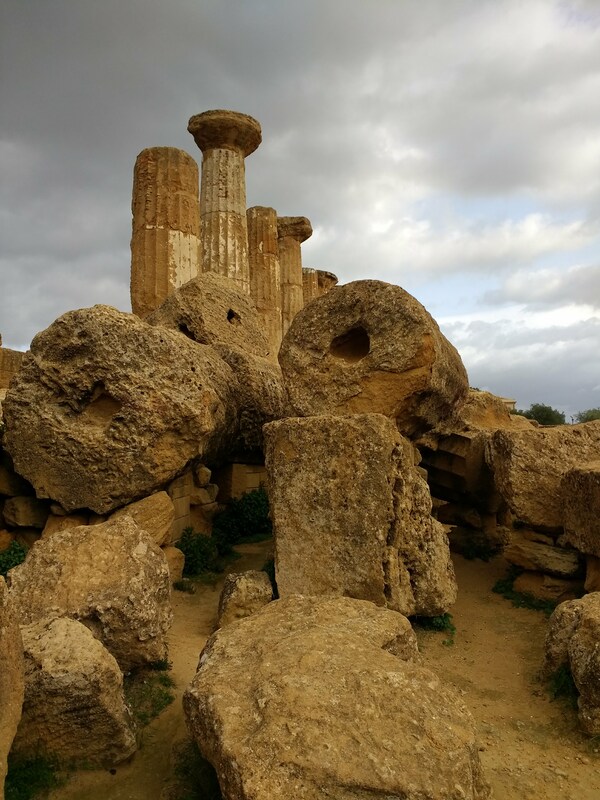 On the western shore of Sicily the ruins of Selinunte spread out over a vast area – so large we took advantage of the golf-cart shuttle to get to the seaside temple after wandering around a 5th century BC marvel. 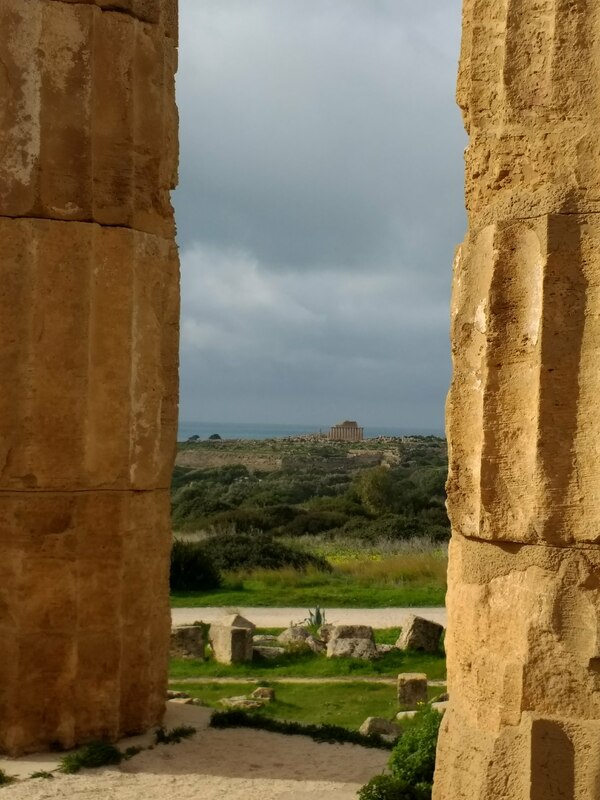 Standing between the massive pillars, we looked to the sea beyond, once again appreciating the winter warmth and the peaceful ambiance of this archeological park. 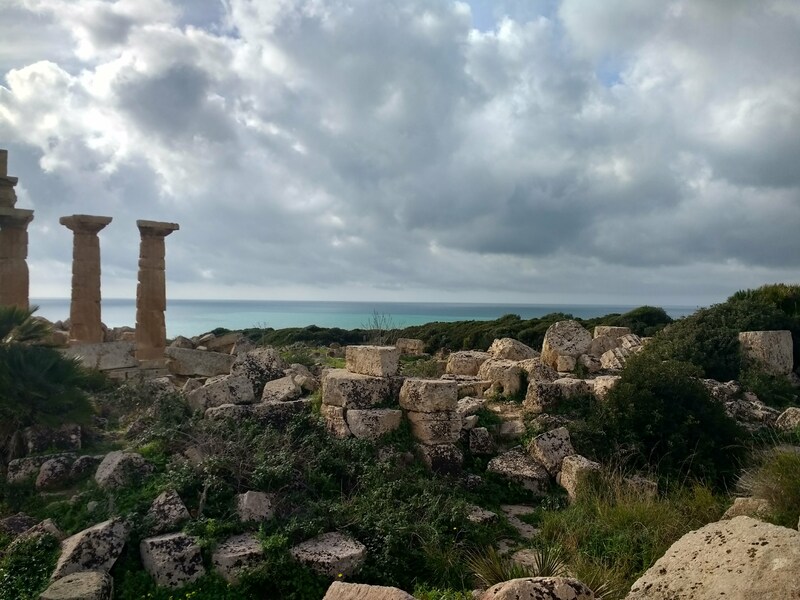 Then on to the sea, where once again we can walk amongst the ruins, marveling at the size and the workmanship still visible after millennia. Waiting for our shuttle back to the entrance, we’re in no hurry – it’ll be a long time before we can enjoy blooming daffodils back home in Virginia! 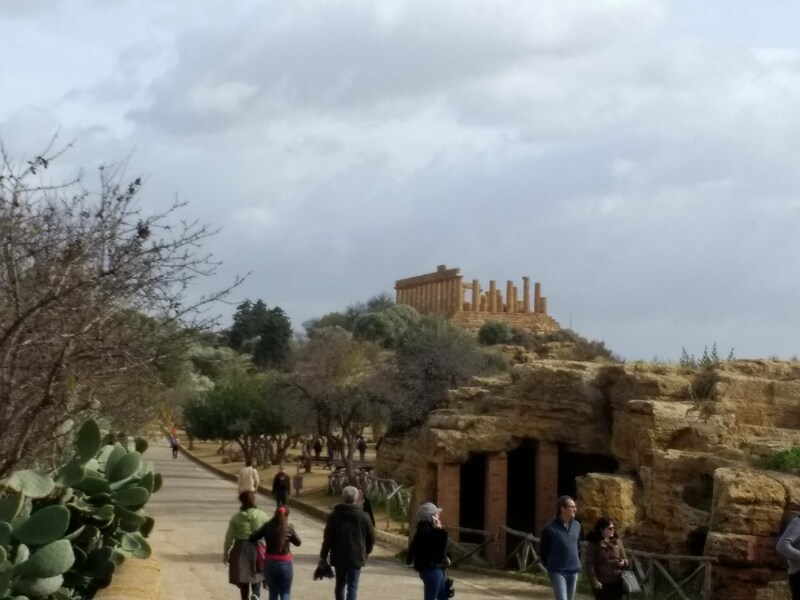 We can’t recommend a winter jaunt to Sicily enough – where better to escape a cold bleak winter than surrounded by sunshine, blooms, and uncrowded majestic ancient marvels?! Slip into the window seat in our aisle and join us on our search for a symphony of views, flavors, culture, sounds, and friends. 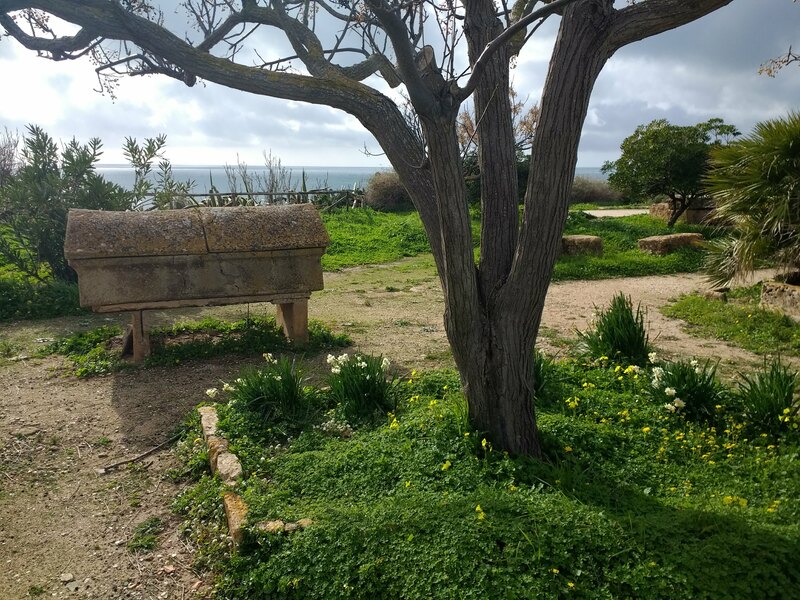 We'll let you know when we hear the harmony we seek - whether in a WOW classical concert, an awesome night of jazz, a magical vineyard or olive farm, or an outstanding bistro, trattoria, wine, garden, or experience. From our delightful maison de village near a Languedoc beach* to a canal-side string ensemble in Amsterdam, you'll read and feel like a real local. 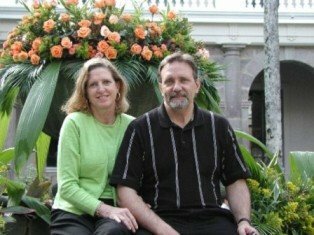 The best way to describe us (Kirk and Anne Woodyard) is that we're interested in the stories that make the places we visit come alive. We've visited Europe more times than we can count, learned some entertaining stories there, and met some warm and helpful people who also enjoy the wonders of music and life in Europe. Between our music-related travels, we split our time between our homes near Washington DC and in the the south of France. We look forward to sharing these stories and friends and experiences with you.